For the first time, unaffiliated voters were able to participate in Colorado’s primary election in June. Election analysts say their participation presented challenges and opportunities for candidates. 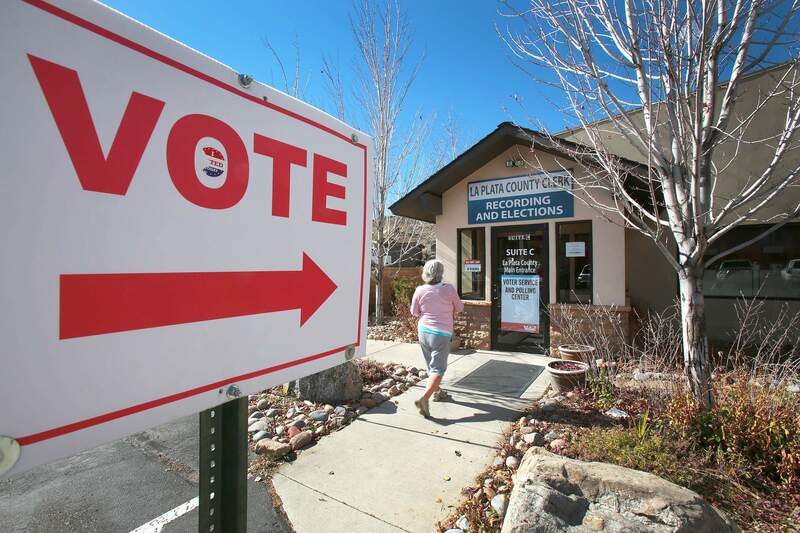 Colorado’s unaffiliated voters participated for the first time in last month’s primary election at higher rates than nearly anyone had anticipated. The backers of the ballot measure that established the state’s semi-open primary are declaring the results a success, while strategists say the record-setting vote totals point to a highly engaged electorate heading into the November election. But while nearly 300,000 unaffiliated voters took part in the primary – voters who until this year would have been shut out – it is still unclear whether their votes affected the outcome of more than a handful of races, political observers say. Nearly a month after the primary election, the dust is still settling and experts are analyzing the data. But political pros say the heavy turnout by unaffiliated voters amounted to a challenge and an opportunity for candidates. For instance, it cost more to reach a vastly expanded universe of potential primary voters, consultants told Colorado Politics, but the candidates who had the resources to do so won by bigger-than-expected margins. In addition, primary winners in both parties now start off the summer campaign season leading to the November general election with plenty of likely unaffiliated supporters already identified, getting a head start on a usually arduous and expensive process. Colorado has more unaffiliated voters than voters who belong to either major party – about 38 percent are unaffiliated, compared with about 30 percent registered as Democrats and a slightly smaller number registered Republican, with minor parties making up the balance. But until this year, those unaffiliated voters had to join a party to vote in the primary. That changed after the 2016 passage of Proposition 108, which allows unaffiliated voters to vote either a Democratic or Republican ballot without having to change their registration. The big question going into the June primary was how many unaffiliated voters would cast ballots, and the answer surprised even the most optimistic observers. Some predicted that few unaffiliated voters would take advantage of the opportunity. After all, if they wanted a say in which candidates were nominated, Colorado’s voting system makes it easy to affiliate, the argument went. But in fact, unaffiliated turnout exceeded expectations by a wide margin. The numbers are staggering. Overall, nearly 1.2 million voters returned ballots in the Colorado primary that ended June 26, about twice as many as the number who voted in the 2014 or 2016 primaries. Of that total, nearly 300,000 were unaffiliated voters, while about 470,000 Democrats and just more than 415,000 Republicans voted. “That is a major victory,” said Tyler Sandberg, a consultant with EIS Solutions, which coordinated polling and a marketing campaign for Let Colorado Vote, the organization that backed Proposition 108. Leaning DemocraticA number of factors likely contributed to the high turnout, political observers say – including contested primaries up and down the ballot in both parties, a situation Colorado voters haven’t faced in at least 20 years, as well as an unusually high number of open seats and measurably higher voter enthusiasm across the board. The record spending, particularly in both parties’ four-way gubernatorial primaries, also likely boosted turnout. Democrats nominated U.S. Rep. Jared Polis for governor, while Republicans picked State Treasurer Walker Stapleton. Several observers from across the political spectrum credited Polis’ enormous spending – the tech millionaire poured more than $11 million of his own money into a massive campaign – with encouraging higher turnout. “People are disgruntled with where our country is going and interested in participating and excited about a vision that our Democratic candidate, Jared Polis, is putting forward,” said Jenn Ridder, the Boulder congressman’s campaign manager. She said the Polis campaign mostly treated potential unaffiliated voters the same as Democrats, though they determined whether they were likely to vote based on whether they cast ballots in off-year, municipal elections because most didn’t have a voting history in primaries. Stapleton’s campaign manager, Michael Fortney, told Colorado Politics he wasn’t surprised Stapleton appeared to have run away with the unaffiliated vote among those who favored a Republican candidate, although he admitted he was surprised by the margin. “Walker’s message of economic opportunity for all resonates with voters, regardless of political affiliation,” Fortney said in a statement. Statewide, about 10 percent more unaffiliated voters voted in the Democratic primary than the Republican contest, boosting the total number of Democratic ballots to almost 650,000, compared with just more than 520,000 Republican ballots. Unaffiliated voters made up a larger share of the Democratic vote, too, accounting for about 27 percent compared with 20 percent of the Republican total. Before the primary, most pollsters and strategists predicted the unaffiliated vote would make up only 15 to 17 percent of each party’s turnout. In raw numbers, just more than 175,000 unaffiliated voters cast Democratic ballots, and about 105,000 voted in the GOP primary, similar to the shares predicted in a June poll commissioned by Let Colorado Vote conducted as ballots went in the mail during the first week of June. Although the difference wasn’t great, Flaherty found that 43 percent of unaffiliated voters returned their ballots in the final two days of the election, compared with 41 percent of registered Democrats and 36 percent of registered Republicans. They were a younger cohort, too, with 31.7 percent of unaffiliated voters age 44 and younger, compared with 28.4 percent of Democrats and 15.6 percent of Republicans who fell in that category. From the other direction, just 30 percent of the unaffiliated vote was cast by voters age 65 and older, while that range accounted for 43 percent of the Republicans and 34 percent of Democrats. ‘A huge leg up’Flaherty, who conducted a poll for the secretary of state’s office last year to help determine how many unaffiliated voters might participate in the primary, also said Polis enters the fall campaign with an early advantage because so many more voters took part in the Democratic primary. “We fully expect every single one of the 171,000 unaffiliated voters that voted in the Democrat primary to vote for Democrat Jared Polis, and the same goes for the 101,000 unaffiliated who voted in the Republican primary to vote for Walker Stapleton,” Flaherty said in an email to Colorado Politics, citing preliminary numbers that climbed slightly as more returns were totaled. Sandberg had a similar observation. “Now that they’ve had one primary vote under their ballot, campaigns are going to chase them,” he said. Republican consultant Ryan Lynch, who managed state Rep. Justin Everett’s losing campaign for state treasurer, said the parties should be able to rely on those voters in the fall. Ridder, Polis’ campaign manager, agreed, and said the campaign considered the heavier Democratic turnout as an indication Polis had an advantage heading into the general election. While the more moderate candidate won in the two statewide primaries that came down to the wire – real estate mogul Brian Watson barely edged out Everett in the GOP state treasurer primary, while former University of Colorado Law School dean Phil Weiser prevailed over state Rep. Joe Salazar in the Democrats’ attorney general race – observers differed on whether that meant unaffiliated voters pulled the results toward the middle. Kyle Forti, a co-founder of Denver-based DCO Consulting and the lead strategist for Watson’s winning campaign, told Colorado Politics he thought the unaffiliated vote provided the margin for his candidate. “Did U’s voting have a moderating effect on the primaries? It doesn’t look like that’s the case,” he said. While he acknowledged that Watson was the more moderate of the three candidates – state Rep. Polly Lawrence trailed Watson and Everett in the primary – Lynch said that wouldn’t have been apparent to voters, since all three candidates “ran to the right” at the end of the race. The difference, he maintained, came down to an enormous spending differential – found in the Republican state treasurer’s primary and the Democratic attorney general’s race, where the winners each outspent the runners-up by around 10 to 1 and wound up about 5,000 votes ahead. ‘Money produces results’Watson and Weiser – who spent more than $1 million on a broadcast, cable and digital ad campaign that featured endorsements from Gov. John Hickenlooper and former Interior Secretary Ken Salazar – were the only candidates in their primaries who advertised on TV. They also spent substantially more money on mailers than their opponents, according to campaign finance reports. Although he noted that Stapleton beat Republican Victor Mitchell – a former state legislator who spent about $5 million on his own campaign, portraying himself as an “outsider businessman” – Lynch said that in almost every other race, the candidate who spent the most money also won. “In the end, the takeaway was, money produces results. The more money you spend, the higher your name ID, and the more likely you are to be successful,” he said. Sandberg said he was still reviewing the data but saw merit in both arguments. Sandberg credited another TV ad campaign – aimed at encouraging unaffiliated voters to turn in their ballots – with helping boost turnout. Let Colorado Vote spent $135,000 on the ads, featuring Let Colorado Vote Chairman Kent Thiry, CEO of Denver-based health care giant DaVita Inc., with $35,000 of that going toward Spanish-language TV. Thiry was a key backer of the measure allowing unaffiliated voters to take part in primaries.